Everyone wants their family and loved ones to stay healthy and lead a happy and healthy life, but it's not always easy to do so in the modern world. It's hard to know what is and isn't healthy and it's often harder still to stick to those things which are best for yours and your family's health. So here are 13 simple guidelines to follow to ensure your family is healthy and to make sure you spend more time having fun and less time at the doctor's. Sedentary lifestyles increase the risk of diabetes and other health problems and on average increase time spent in hospital. So ban your family from spending every evening on the sofa. Going for family walks in the country side will make you all happier and healthier, and increases family bonding. One of the best things you can do with your family is to make health an easy to talk about topic. Don't let health issues become awkward or taboo, create a culture where you share your concerns. This will ensure that any problems are out in the open and that no one ever suffers in silence. We're not advocating hypochondria here, but there are a lot of people who strangely pride themselves on never going to the doctor. You may think it reduces the load on health services or saves money, but in reality, regular GP visits help to ensure that any minor problems are caught before they become bigger problems. Getting a regular check up should be an integral part of your family's health routine. Health insurance may not be a big priority for you, and you may even think it's something you shouldn't worry about until you're older, but when you have a family health insurance policy it is a great investment because it gives you the peace of mind of knowing that no matter what happens you can get the best treatment available. Additionally, good quality private cover will ensure that you can get the treatment you need quickly. Sleeping soundly is super important and not getting enough good sleep can cause all sorts of health issues, now and in the future. One simple way to ensure better sleep is to remove your TV from your bedroom. Make your bedroom a place for sleeping. This is perhaps the simplest tip on here, but it can't be stated too strongly that eating lots of fresh vegetables is perhaps the healthiest thing you can do. It's natural and there is no better way to ensure that your body gets everything it needs to be strong and healthy. Vitamin tablets and supplements can be helpful, but never under-estimate the power of broccoli. Feeling stressed? Long-term low-level stress is a modern problem which can cause many health problems. You may think it only a mental issue, but stress can manifest in physical ways and can even have a negative impact on the emotional health of your family. So if you feel stressed regularly, resolve now to make positive changes and reduce those stress levels. Low quality air can cause and worsen respiratory disorders such as asthma and bronchitis and certain common chemicals may even be carcinogenic, so try to use non-toxic cleaning products, never smoke in the house and get some plants to keep your air clean. Obesity in children and adults is on the rise and snacking on processed foods such as crisps and chocolate is a bit part of the problem. Ban such snacks and instead have fruit. If they don't want a banana, maybe they're not that hungry after all! One nutritionist famously said "the simplest way to get healthier is to eat whatever you like, just so long as you cook it yourself." Microwave meals, ready to eat rice and takeaways are all much less healthy than the same food would be if you made it from scratch yourself. You get to avoid potentially harmful chemicals and you become more aware of what's in your food. According to numerous studies, sitting down for many hours a day can be unhealthy and reduces life expectancy as well as increasing risk of back problems and heart problems. Equally, standing up all day has its own health risks, but if you have an office job, do your best to avoid long stretches of sitting in the same position. Vaccinations have been incredibly effective over the past 100 years at reducing and even wiping out certain diseases and continue to do so today, but it's easy to forget which ones you need and when you might need a top up, so make sure you ask your family's doctor whether you need any boosters. This goes without saying really, but it's not just for your benefit. If you want your children to grow up healthy you need to lead by example and live a healthy lifestyle yourself. Children of parents who smoke, eat unhealthily, are overweight or who fail to look after themselves are far more likely to develop those same bad habits. Compression clothing refers to skin-tight articles of clothing such as socks, tops, tights, stockings and shorts specifically made to enhance one's physical well-being by increasing the flow and blood in the compressed area and enhancing oxygen delivery. Although it may seem like compression clothing is a new invention, it actually has been around for centuries. In fact, the wearing of such clothing is often called compression therapy - the inclusion of compression therapy is often praised and recommended in both western medicine and in the world of alternative health. There are many impressive benefits that can come from continuously wriggling into various forms of compression clothing. These benefits can be especially valuable for athletes, aging adults and persons that experience bouts of achy muscles. • Compression clothing can improve workout: One of the biggest benefit of wearing compression clothing is the positive support it can provide to any workout regime such as running, biking and strength training. The enhanced blood flow and improved oxygen delivery is said to help improve workout efficiency while also increasing stamina and shortening recovery time. • Supports healthy veins: Wearing a pair of the industry's best compression socks during the day is one of the easiest ways to support healthy veins. This fact can be especially valuable for persons that may suffer from poor leg circulation, spider veins, and varicose veins. Continuously wearing compression socks can drastically increase circulation to the legs while also lessening harsh symptoms and helping to prevent the formation of deep vein thrombosis and other serious vein disorders. • Regulates body temperature: The materials used to create most high-quality pieces of compression wear can help wick moisture away from the body, which in turn can help regulate the core temperature of the body. Facilitating thermoregulation can help keep you warm in the colder months and cool in the hotter months. Such temperature regulation can increase comfort levels and deter the layering of clothing. • Increases internal alkalinity: An internal alkaline environment is ideal for enhanced mental and physical health. Wearing compression clothing can help increase alkalinity due to the fact that the enhanced blood circulation and oxygen delivery encourages the detox of lactic acid and metabolic waste thus creating a cleaner, more alkaline body. • Compression clothing can help suppress pain: Not only does compression clothing shorten recovery time during workouts, wearing them can also deter general muscle soreness, inflammation, aches and sprains as well as body pain associated with fibromyalgia, arthritis and carpal tunnel syndrome. The almost magical ability to transform your figure into that of a tight muscled superhero by simply sliding on pieces of snug-fitting compression wear can certainly do wondrous things for your self-esteem. However, in addition to helping you look good, continuously wearing compression clothing while maintaining a healthy diet, staying positive and working out regularly can definitely improve the integrity of your health, regardless of your age. This is a post by Nancy Evans. 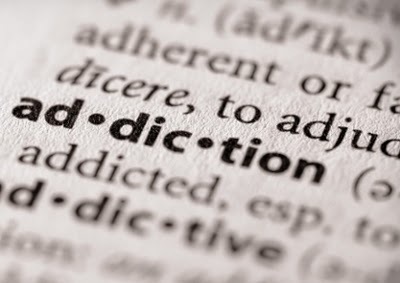 Substance abuse is one of the fastest growing drug intake problems in the US. While the condition is often linked to adults, stats about substance abuse and students are alarming. According to (1) the National Survey on Drug Use and Health, abuse of prescription drugs is second to abuse of marijuana among adults in the age range 18-25. DrugWatch further reports (2) that college students today are abusing more drugs than was the number in early the 90s. The source also cites a Columbia University study, stating that almost 50 percent of full-time students abuse prescription drugs or develop the habit of binging, and almost 25 percent of those students are categorized as having a medical issue related to dependence or substance abuse. Why do students become victims of substance abuse? Some find it the best resort to relax, have fun, relieve stress of studies, and forget problems. Female students may become victims due to these reasons or in an attempt to keep up with male students, while some may be under relationship pressure and rely on alcohol to disinhibit the desire. College trustees and societies are busy in holding events, raising funds, introducing new facilities, so the substance abuse issue gets low priority. Also, students with the tendency to seek thrills or perform extraordinary well in exams may be at a risk of substance abuse due to the ‘high’ feeling achieved from drug intake. While everyone enjoys the adrenaline from appropriate sources, some students rely on substances to get feeling, and it causes them to continue their consumption despite the negative consequences. A student with low self-worth may also engage in abuse behaviors to counter degrading factors in his/her life. Another possible reason could be to enhance their performance in sports and other similar activities. As a result, educational institutes need to realize that substance abuse on college and university campuses across the country is pervasive, and reliance on alcohol, drugs, and other substances can inhibit a student’s ability to be professionally and academically successful. To bring a significant change to this trend, college and university staff members need to work with societies, alumni, parents, and federal and state organizations. As parents bear significant responsibility of their children, they should educate the college-and-university going teens to spend their funds wisely and about the dangers of living a substance-fueled lifestyle. According to Future of Palm Beach (3), immigration may also bring challenges and experiences to a student. With a new culture to adapt in, and trying to get recognition in a foreign land, new students face many tests and may engage in addiction when they feel homesick or when they are under pressure to assimilate. Cultural clash may also tempt them to abuse controlled substances. In such and other instances mentioned before, students can seek help by joining recovery groups or speaking to a counselor about their condition. Lastly, college and university should introduce substance abuse prevention and success programs to encourage responsible behavior among students through compliance, education and awareness about campus policies and state laws. With best practices, an institute can reduce substance abuse risk and its negative consequences among its students. The programs can be coordinated with community and educational partners for greater reach.